The Barnstable Quarterback Club is proud to announce the first retirement of a Barnstable Red Raider football jersey. 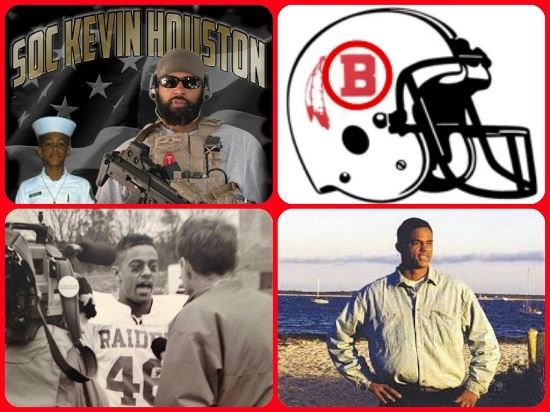 Come join us at the ceremony to retire our own #46, in honor of our late veteran and national hero who wore it … 1993 Red Raider football captain, SOC Kevin Houston. The ceremony will take place at Barnstable High School at the W. Leo Shields Memorial Field before the 88th traditional Thanksgiving Day Game of the Barnstable High School Red Raiders versus Falmouth High School Clippers on Thursday, November 27 at 9:30 AM.